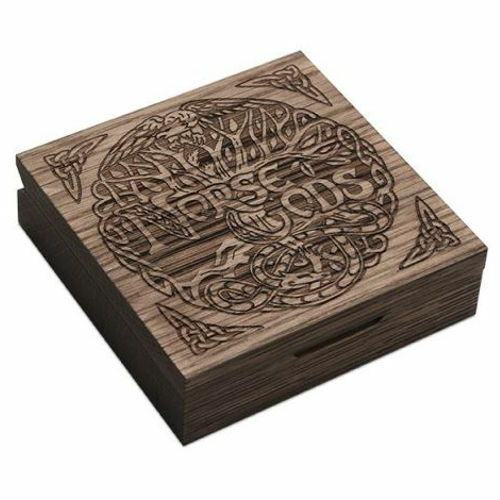 The gods of Norse mythology are gaining notoriety at the moment as a variety of proof coins and silver rounds have been released featuring images of Norse gods. 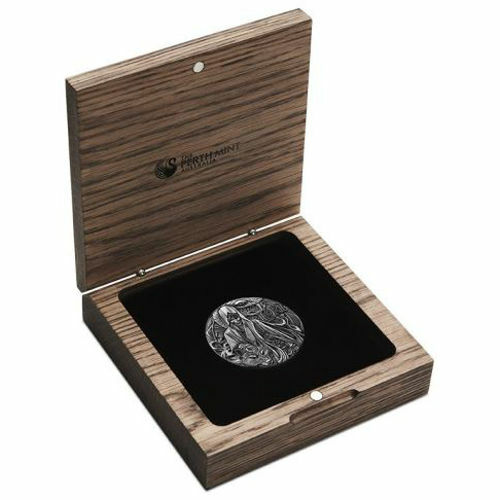 One of the more unique offerings comes from the Perth Mint, which has developed a rimless coin series of high-relief proofs. 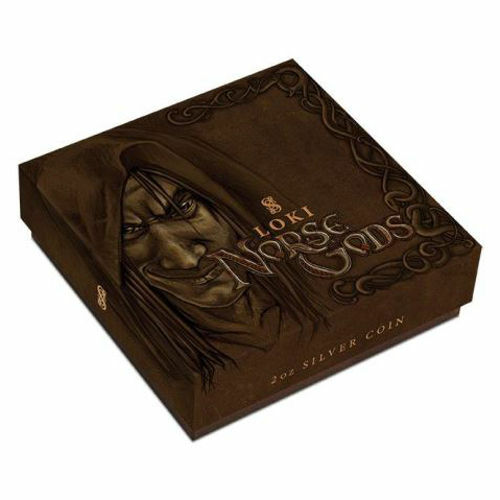 Today, the 2016 2 oz Silver Tuvalu Norse God Series Loki High Relief Proof is available to purchase on Silver.com. Ships in a wooden display case featuring a Norse Gods theme and Certificate of Authenticity. Total mintage capped at 2,000 coins for this release. Third design in the Silver Tuvalu Norse God Series. Consists of Two Troy ounces of .999 fine silver. 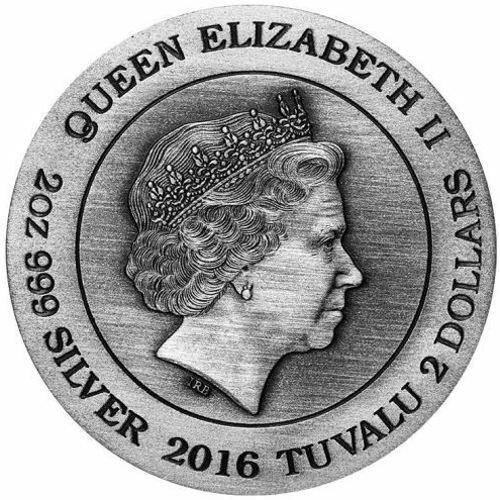 Face value of Two Dollars is considered legal tender in Tuvalu. Reverse includes the image of Loki. High-relief proof features a rimless design. Perth Mint Norse God coins debuted with the release of an Odin coin, honoring the Father of the Gods. The second release in the three-coin series featured the popular image of Thor, the God of Thunder and son of Odin. In the final release, the most mischievous of the gods completes the series as Loki debuts in the series. Loki is without question the most devilish of the Norse gods. Thor and Loki often came into confrontation with one another as Loki stoked the flames of tension and threatened man and god alike. 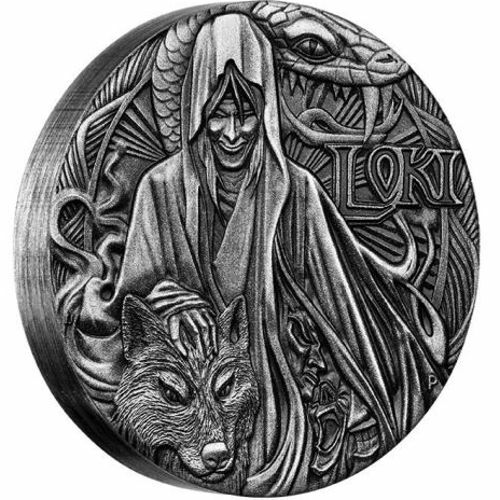 Each of the 2016 2 oz Silver Tuvalu Norse God Series Loki coins in this Silver.com listing are high-relief proofs. Each is on a rimless blank that completes the eye-catching appeal of the coins. Additionally, the antique finish adds warmth and subtle detail to the overall design of these coins. Perth Mint was one of the three original minting facilities in Australia. Founded in 1899 as the third and final Royal Mint facility, the Perth Mint is the only one still open today and is the nation’s oldest operating facility. Though not associated with the federal government, Perth coins are legal tender under the Currency Act of 1965. Please feel free to reach out to Silver.com with any questions you might have about these coins. You can reach Silver.com at 888-989-7223, online using our live chat, and via our email address.